Check out Tobi's Win Me Over Earrings Make a statement with the Win Me Over Gold Earrings. These oversized gold hoop earrings ain't your average hoops, featuring hammered heart-shaped metal to add a mix of elegance and edge to your outfits. We love these heart shaped hoops with layers of minimalist necklaces. Make a statement with the Win Me Over Gold Earrings. 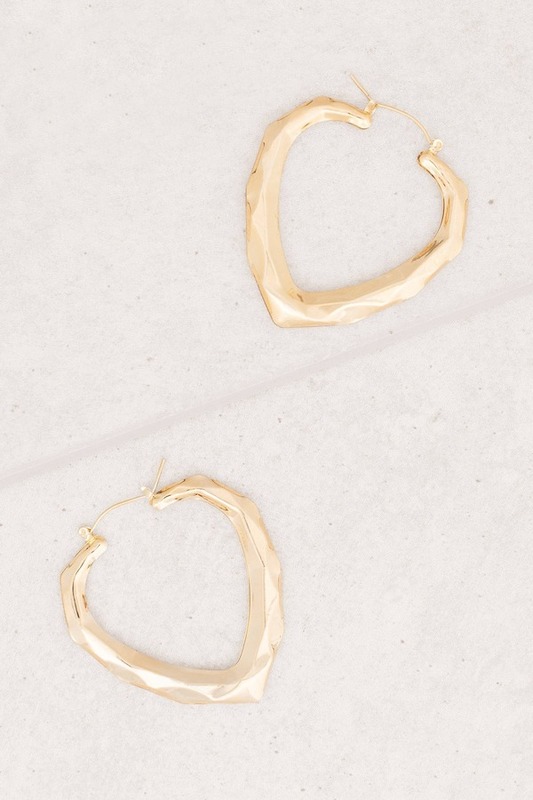 These oversized gold hoop earrings ain't your average hoops, featuring hammered heart-shaped metal to add a mix of elegance and edge to your outfits. We love these heart shaped hoops with layers of minimalist necklaces.